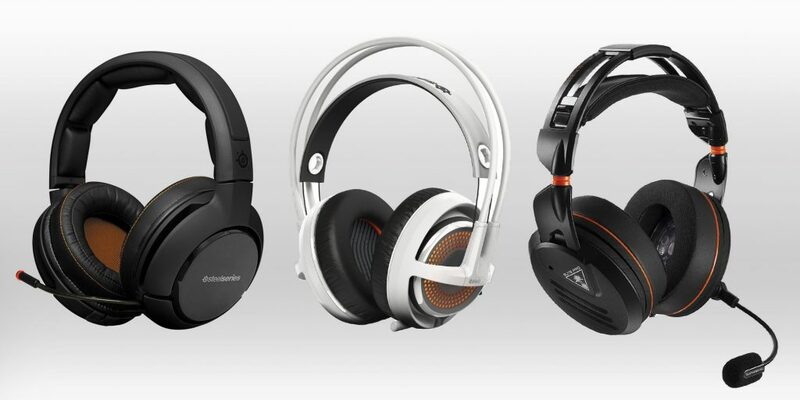 Best wireless headsets for Xbox One – The Turtle Beach Ear Force Stealth 420X Wireless Gaming Headset for the Xbox One offers crystal clear audio and is simple to set up with four audio presets, the Mic Monitoring is useful too as it lets you hear your own voice in the headset to avoid shouting. There are separate game and chat audio settings for full control and the rechargeable battery offers up to 15 hours of continuous wireless gaming. The supple, perforated synthetic leather-wrapped ear-cups are really comfortable as well. The Lorcoo Stereo Wireless Gaming Headset works great for Xbox One gaming too if you use the Kinect Or Microsoft Adaptor. This Noise cancelling headset features a detachable wireless microphone and built-in amplifier. The headphones fit snugly over your ears and are really comfortable and the audio is great thanks to a built-in Microsoft approved non-driver USB sound card. Best wireless headsets for Playstation 4 – The official Sony PlayStation Wireless Stereo Headset from under £70 is pretty hard to beat, with 7.1 virtual surround sound and pre-set sound modes, a crystal clear microphone, fold-able design for travel, 8 hours of play from one full charge, changeable faceplates and on-screen headset status display. The Sound Intone P6 Bluetooth 4.0 Stereo Headphones are a close second to the Sony model, featuring noise cancelling, build in microphone with volume control, plus an adjustable PU leather headband with comfy soft cushion for a perfect fit. Best wireless headsets for PC gaming – The Logitech G430 Surround Sound Gaming Headset for PC is an awesome unit for less than £50 and features comfortable cloth ear-cups which are removable for cleaning, 7.1 Dolby surround sound, a folding noise-cancelling microphone and a neat lightweight design. A fantastic device for PC gaming that also works well with Playstation 4 too. The runner up headphones for PC gaming is the Corsair CA-9011127-EUCGH2100 Wireless Dolby 7.1 Gaming Headset with incredible audio and 2.4GHz wireless connection up to 40ft and true multi-channel genuine Dolby 7.1 surround sound audio. The microfibre-wrapped memory foam ear-pads are amazingly comfortable and the 50mm neodymium drivers have brilliant audio range and precision.